Cranford, NJ—Today, in response to a new law that requires Arkansas school districts to post signs that read, “In God We Trust” in all classrooms, the American Atheists Legal Center sent a letter to all 262 Arkansas superintendents reminding them of their obligations under the United States Constitution and of the limits on state-sponsored religious expression in public schools. Act 911, originally introduced as H.B. 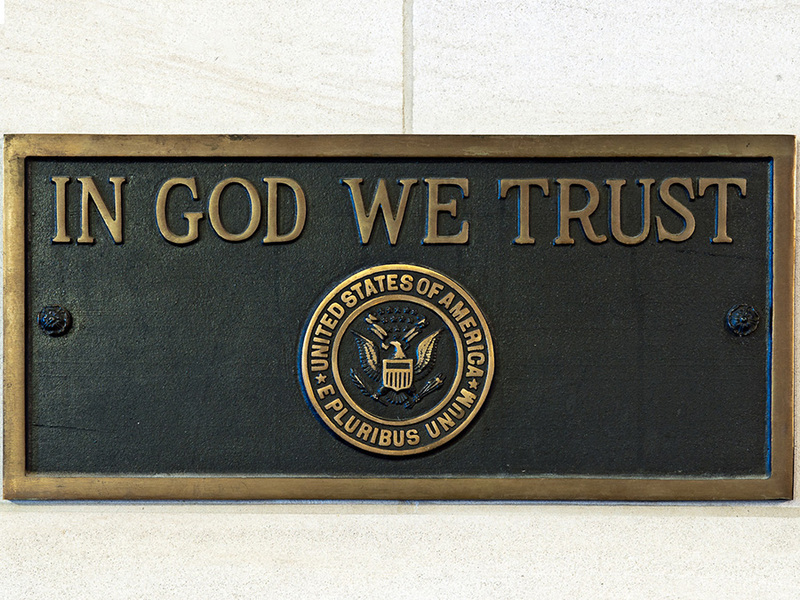 1980 by State Representative Jim Dotson (R-Bentonville), requires superintendents and administrative officials of state agencies to place framed copies of the phrase “In God We Trust,” along with the flags of Arkansas and the United States, in all public school classrooms and libraries, as well as every public building or facility “maintained or operated by state funds.” The act requires that the displays be donated by private individuals or purchased with voluntary contributions, rather than government funds. Churches have already jumped at the opportunity to fund the displays. “I think it’s vital that we have that spiritual influence in our schools,” said Chris Reed, youth pastor of Pleasant Hill Baptist Church in Bauxite. He has pledged to donate signs to every school in the City of Benton. “This is who we are, this is who we have been, and hopefully, I pray, that’s who we continue to be moving forward. In the name of Jesus that our lives will be directed as we obediently follow Christ,” Reed added. In the letter, American Atheists warns the state’s school superintendents that the requirement to post the displays is unconstitutional and asks that they reject any and all gifts, donations, or contributions for the displays. American Atheists has received complaints from many Arkansans across the state and is prepared to file suit to protect their rights and the rights of all Arkansans. The letter was sent both electronically and via U.S. mail to all 262 superintendents. Read the full letter here.